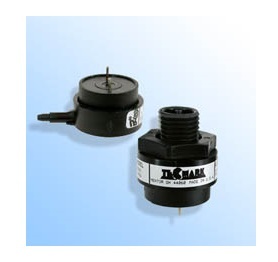 IQS Directory provides a comprehensive list of oil pressure switch manufacturers and suppliers. Use our website to review and source top oil pressure switch manufacturers with roll over ads and detailed product descriptions. Find oil pressure switch companies that can design, engineer, and manufacture oil pressure switches to your companies specifications. Then contact the oil pressure switch companies through our quick and easy request for quote form. Website links, company profile, locations, phone, product videos and product information is provided for each company. Access customer reviews and keep up to date with product new articles. Whether you are looking for manufacturers of tridon oil pressure switches, oil pressure switch functions, oil switch symptoms, or customized oil pressure switches of every type, this is the resource for you. Tecmark works as a team to continuously improve their products and management systems to achieve unparalleled customer satisfaction. From in-house solutions to industrial needs, they have the technology to get you the precise product you have been searching for. For cost-effective pricing and the highest levels of quality, call Tecmark for your next oil pressure switch order. Established in 1967, NOSHOK can make or provide many different kinds of gauges, valves and seals. We were one of the first to offer liquid filled gauges. Today, we have expanded our catalog to include pressure gauges, vacuum gauges, low pressure gauges and stainless steel gauges for a multitude of industrial applications. We are ISO 9001:2015 registered. For more information, contact NOSHOK today! Since 1980, KOBOLD has been a leading manufacturer of high-quality pressure switches, gauges and transmitters. KOBOLD brings to you 25 years of experience, excellent customer service and FREE technical support. Call today or visit our website for all of your instrumentation needs. Our highly trained engineers and sales team can find the optimal solution for even the most demanding applications. Our oil pressure switch technology is cost efficient and dependable. We can accommodate your needs with our improved products. These high performance devices are great for consistent use and you can trust us to supply you with innovated systems. Your satisfaction is essential for the growth of our business. We are your number one source for oil pressure switches. The standard and custom pressure switches, controls and pressure-sensing electrical devices we manufacture are used in car wash, consumer, medical and industrial applications. The Recora Sensi-Switch&reg; is a weather-resistant, light-touch shut-off device; Auto Alert&reg; is for auto vehicle detection. At Ruelco, you can count on us to use our expertise to design, manufacture, install, and service top quality process control equipment. In business since 1980, we have a broad selection of products that include high flow, standard, electric, standard differential pressure switches, high or low pressure switches (hydraulic). For more information, contact Ruelco today! An oil pressure switch is a type of hydraulic pressure switch that measures the pressure of oil in a system and reacts in a specified way when the pressure rises or falls to a certain level. When an oil pressure switch is actuated, it will normally either raise an alert or automatically open or close a valve to interrupt or continue the flow of oil, providing a cost-effective safeguard for expensive engines and machinery that rely on oil for smooth operation. An oil pressure switch may be programmed to different actuation points depending on its particular function. Oil pressure switches are designed for alarm, shutdown, and control of many different processes and equipment, and thus work well in any instance in which regulation or measurement of oil flow is required. This makes them useful for applications such as generators, process machinery, off-road equipment, motors, turbines, aircraft, automobiles and pipelines, and for industries including aerospace, automotive, utilities, process manufacturing and more. The most common use of oil pressure switches is in automobiles: if the oil pressure in the engine drops to a critically low level, the oil pressure switch triggers a warning light on the dashboard for the operator to address the problem before the engine runs dry and destroys itself. An oil pressure switch measures the amount of oil pressure in a given space by means of a transducer that translates the force of pressure into an electric signal. The pressure sensor is built into a force collector such as a piston, strain gauge, diaphragm, bourdon tube or bellows, which measures the strain or deflection caused by the oil. A common mechanical design involves an elastomeric diaphragm in a pressure cavity that expands or contracts depending on the pressure. Electronic pressure switches usually make use of a piezoresistive pressure sensor that converts the pressure strain level directly into an electrical signal. Oil pressure switches may include an analog or digital display that shows the pressure reading, or may simply rely on the automatic switching functions without any human interface. Construction materials for oil pressure switches vary depending on the application, but can include acetal, brass, polycarbonate, plated steel, glass reinforced polyester, polyvinyl chloride and cast aluminum. Some things to consider when looking for an oil pressure switch are accuracy, pressure range, electrical connection, body material, display type, temperature compensation, temperature output and field adjustability. The advance of oil pressure switch technology has made oil pressure switches an integral part of making processes involving pressurized oil safe and dependable.